I wear lots of different STEM hats. I’m an astrophysicist who studies extreme explosions in the distant Universe; I teach computing for science students and professional scientists; and I co-founded Grok Learning to teach thousands of school and university students how to code. 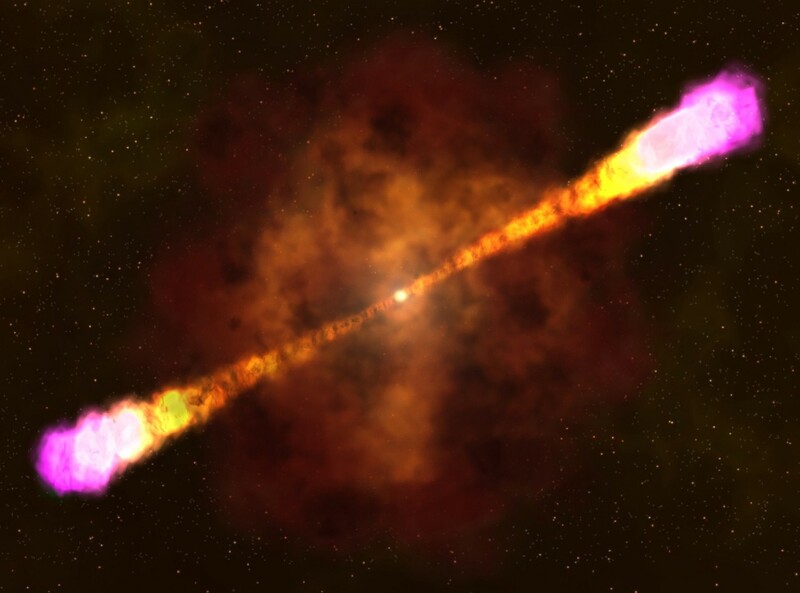 An illustration of a gamma-ray burst that occurs when a massive star collapses at the end of its life. One of the great things about my job is the talented colleagues and students that I get to work with; and one of the most important things I’ve learned over my career is that there isn’t only one kind of person who can succeed at science and tech. Contrary to stereotypes of scientists being boffins who hide away working on things alone in their office, modern science usually involves teams of people (from small groups through to collaborations of thousands). On of our recent papers about the LIGO gravitational wave event detection had 3677 co-authors! Likewise, most professional software engineers have to work closely with their colleagues, building complex systems to launch rockets, guide surgeons or design clothes. This means that the type of people who can succeed at STEM have a much more diverse skill set that many people assume. apply for funding and manage project budgets. manage budgets and track project goals. Who can succeed at STEM? Woah — that list is pretty long, but the key here is team work. Every team needs to have people with all of these skills, but not every person on the team needs to be great at everything. In science and tech we need great problem solvers, and great coders; we need great communicators and we need strategic thinkers. We need people who think big, and people who focus on getting the smallest details correct. We need creative people who generate ideas, and people who are great at implementing them. The Grok Learning team (with bakers, and dancers and martial arts experts). Another misconception is that everyone is science and tech is a “nerd” or a “geek”. On the Grok team we have people who love computer games, and people who love baking; people who love science fiction and people who love karate, dancing, sailing and rock climbing. There are people who apply their tech skills to real world pursuits (like making clothes from computer generated patterns). Something I always emphasise to first year university students is that being good at computer games doesn’t make you good at coding and being bad at computer games doesn’t make you bad at coding! Lots of people ask me whether they (or their students and kids) could pursue a career in science and tech. My answer is that if you love solving problems and if you love learning new things then follow your interests. Don’t be put off by the stereotypes! What do you think? Are there any other skills valuable in the STEM world that we missed? Let us know in the comments below. Astrophysicist at the University of Sydney; Co-founder of Grok Learning.